A dog bite is a physically and emotionally traumatic event. Four million Americans each year are victims of dog bites that are often vicious and unprovoked, according to the Center for Disease Control and Prevention. Of that number, 800,000 victims require expensive medical attention. In New Jersey, dog owners are liable for the actions of their pets, even if the pet does not have a history of violence or aggressive behavior. Dogs are not allowed "one free bite," as is the law in some other states. This ensures that in New Jersey, dog bite victims are protected. New Jersey is very clear about who is responsible for dog bites. N.J.S.A. 4:19-16 places liability squarely with the owner, regardless of whether the dog has a history of viciousness or not. This statute states: "The owner of any dog which shall bite a person while such person is on or in a public place, or lawfully on or in a private place, including the property of the owner of the dog, shall be liable for such damages as may be suffered by the person bitten, regardless of the former viciousness of such dog or the owner’s knowledge of such viciousness." New Jersey’s laws allow any victim to seek reimbursement of any necessary medical expenses from the dog owner. Dog owners may be held accountable for medical bills, plastic surgery, scars and disfigurement, lost wages, and counseling for emotional distress. Most dog bite incidents will be covered by the dog owner’s home insurance. 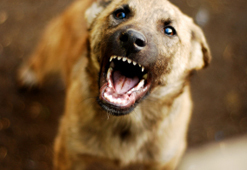 If a dog bites you, you will need an experienced, Certified Civil Trial Attorney to advocate for you, to make sure you get the full amount of compensation you deserve. Douglas Standriff has years of experience recovering damages for dog bite victims. He will personally investigate and handle the details of your case, and will accept payment only when you win. Should you be bitten, there are a few things you must do immediately. 1. Immediately seek medical attention. Do not wait for a police report or to talk to an attorney. 3. Take photos of the injuries before they begin to heal. Contact Douglas Standriff at his Ridgewood, New Jersey office to discuss your dog bite incident. You will be treated with care and respect, and Mr. Standriff will work diligently to get you fairly reimbursed for your losses and expenses as a result of being bitten.